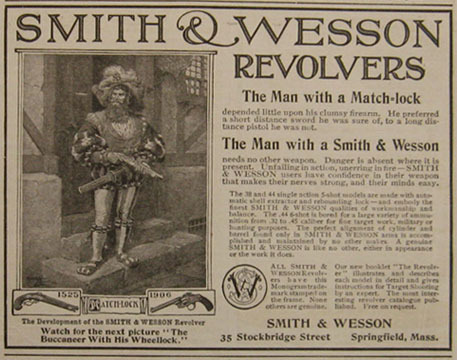 By the way, do you know any good maker of landsknecht guns? Do you have a picture of what you have in mind? http://forums.armourarchive.org/phpBB3/viewtopic.php?f=3&t=148780 You might want to take a look st these. Apparently this is NOT actually an example of a widened bore blunderbuss though. You have to be careful referring to a simple line drawing as if it were a photo. Lots of cartoony exagerations are often present that would have been obvious to contemporary viewers, but can confuse modern viewers. The drawing probably depicts an arquebus with a "cannon" muzzle(muzzle that is much thicker for added strength). However, as one posted extant example shows, there were guns with flared muzzles. Lots of experimentation was happening with early firearms during the late 15th to end of 16th centuries. For example, there is a rail gun from the Mary Rose with a rectangular muzzle. It was apparently an anti personnel weapon that was loaded with nasty angular chiseled iron shot. I think it would be plausible to build a hypothetical reconstruction arquebus with a short, large bored ,flared muzzle barrel. It could serve the same purpose as the later blunderbuss; a gnarly close range scatter gun. The details of the stock and lock will place it in the particular date you want it to portray. 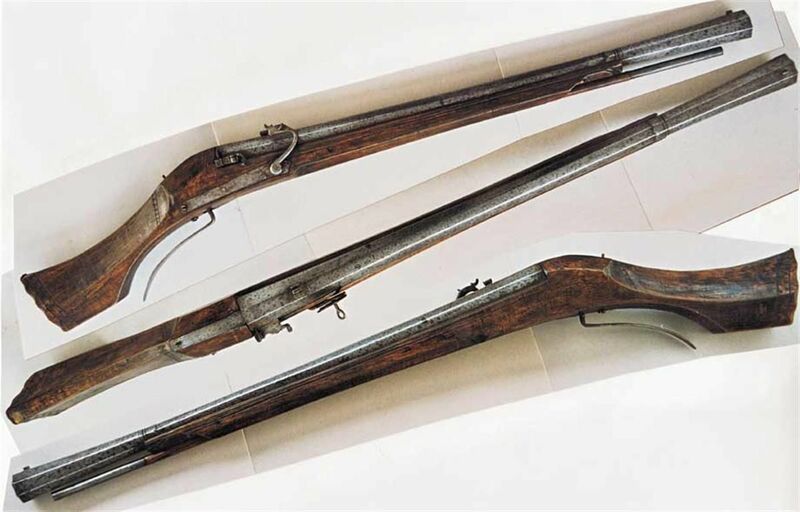 However, I would call the weapon an arquebus rather than a blunderbuss, as blunderbuss is an 18th century term. The 2nd from the back looks suspiciously like a matchlock blunderbuss. Anyone live near the Army Museum in Dresden and able to check this matchlock out? I would like to know if the inside of the barrel is flared making it a true blunderbuss or just a "crowned" or thickened outside barrel. Also, what year it was made.